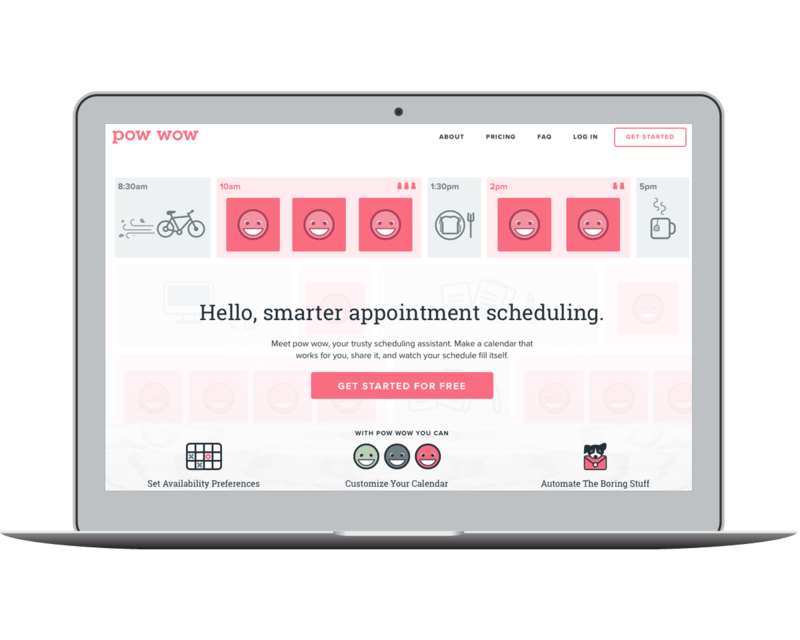 pow wow takes the headache out of scheduling user interviews and testing sessions. 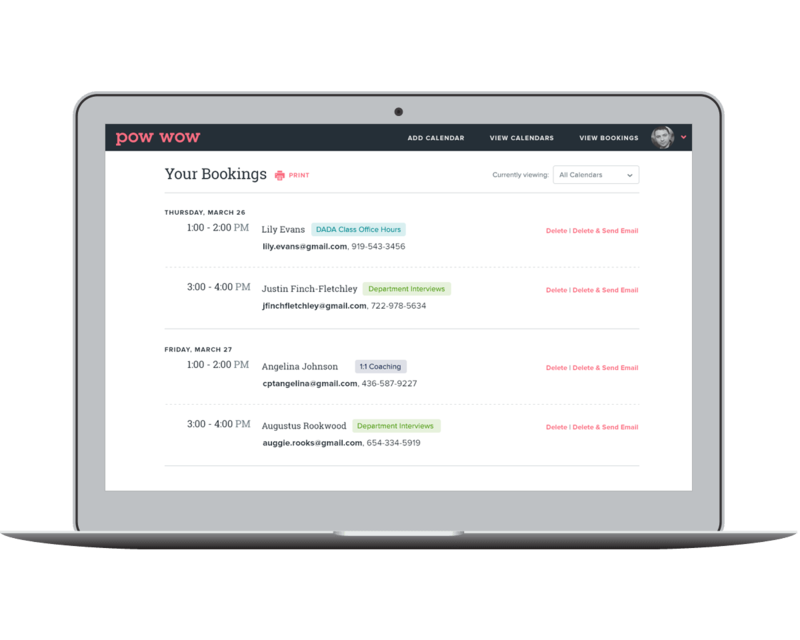 Quickly and easily set up a calendar for your project with available appointments and send to potential participants. 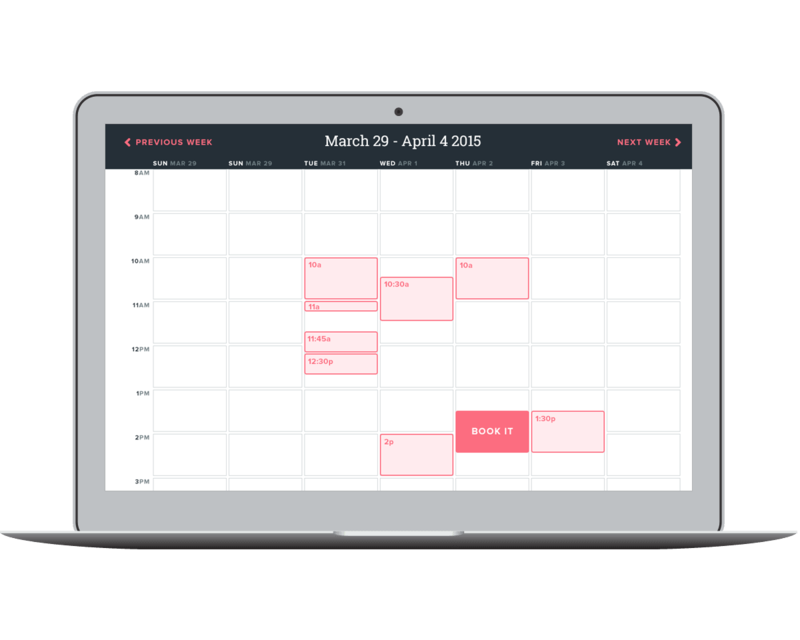 Participants can sign up for their preferred appointment time, and just like that, you two have a meeting scheduled.